Here are five principles the best bosses observe to bring their companies to success. 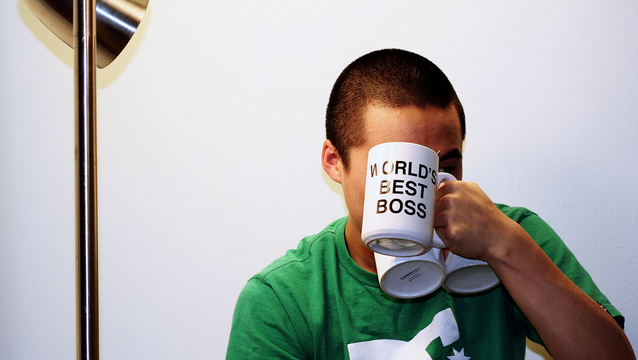 Over the course of our careers, we've all had our share of terrible bosses and good bosses. I've only had one great boss. He was the CEO of a Fortune 500 company, and I was a member of his executive team. During his tenure he transformed our company with his hands-on leadership style by demonstrating daily the following five lessons that contributed to our company's success. While there are many stakeholders that every business must address, you won't be in business very long if you're not customer-centric. The first thing this leader did when he took over was he had 8,000 plastic, wallet-sized cards made—one for every employee—with our logo on the front and the words "Customers First" directly beneath it. He would spot-check employees and ask to see their cards during lunch and company meetings—giving those who produced their card $20. His commitment to customers was infectious and was a driver of significant performance improvements in customer metrics across the organization. In addition to customers, employees mattered to this leader. Our company had two different unions that comprised the majority of our workforce. Prior to this CEO's appointment, management's relationship with these critical stakeholders was horrible, as was our customer service. But once he took over, he met with key union officials weekly and made regular visits to all of the union-employee training facilities, satellite offices and call centers to listen to them personally. Eventually, he was invited to the union hall on a monthly basis for drinks with the union stewards. His genuine engagement of this critical employee base sparked a renewed commitment on their part to help fulfill his goals for the company. At his core, this CEO was a consummate marketer. He had one acronym that he wanted us all to follow—B.F.L.—which stood for "Big F**king Logo." He doubled the size of the logo on our buildings, service vehicles, customer invoices and even on the shirts of our service technicians. He also signed a three-year sponsorship of a NASCAR race in upstate New York to strengthen our business-to-business and business-to-consumer brands. As part of the agreement he negotiated having three NASCAR drivers participate in a parade announcing the deal with high school marching bands and NASCAR trailers outside our corporate headquarters. Not only did our community love the event, it inspired our employees as well. Those types of high-profile "stunts" endeared people to him wherever he happened to lead. At a former consumer-electronics company, where he served as president, he produced a short video for an inspirational sales meeting. In the video he was dressed as General George S. Patton riding on the top of a Sherman tank, as the armored vehicle rolled over dozens of actual televisions from competing manufacturers to a stirring rendition of Wagner's "Flight of the Valkyries." When the video ended, the music continued as a massive American flag unfurled above the sales stage, and he strode out to a thunderous ovation to deliver a rousing oration. He was able to translate corny showmanship into an inspiring mythology that employees carried with them—driving them to personal and organizational success. While CEO, he improved our customer service, employee morale, streamlined operations as well as increased both top- and bottom-line revenues. A bidding war for our company ensued at a final acquisition price of more than $10 billion. The company stock price had more than doubled to the benefit of all employees who received annual stock grants. Beyond that, one of the most generous acts he did for the employees was to negotiate a 20% retention bonus of base salary for all employees who remained with the acquiring company after 12 months. In a conversation following the closing of the deal, I asked him why he did that, because he obviously didn't have to. His answer was simple: "The team worked hard to turn around this company. I wanted our people to be rewarded for what they accomplished because our buyers didn't know how far we'd come. But I did know and I had a seat at the negotiating table, while our employees did not. You only deserve what you negotiate and our employees deserved the retention bonus." He made success look easy, and with these lessons, success might not be as difficult for you as you might think.